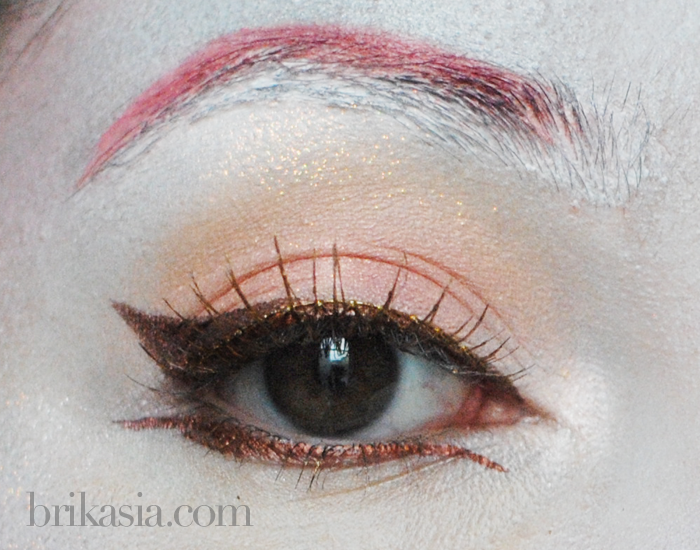 Soooo I still haven't seen the latest Hunger Games movie, but I pulled inspiration for this look from this makeup look. Fun fact: when you have thick, dark brows like mine, it is probably a lot smarter to use the glue stick method to cover them, instead of using the NYX Jumbo Eye Pencil in Milk to cover them. Meh. Well, regardless, I wanted to post this look just for kicks and giggles. 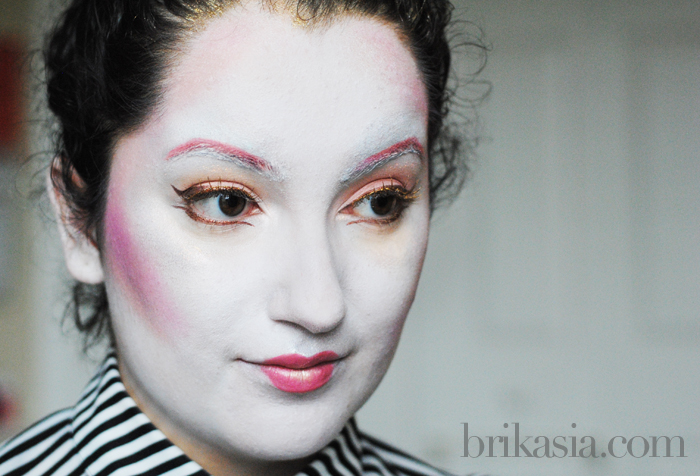 I basically only used the Make Up For Ever 12 Color Flash Palette. For the false lashes, I basically painted them with a mixture of Sugarpill's Tiara and Goldilux loose shadows and MAC Mixing Medium. From certain angles, you can definitely see the gold and silver. One more note: don't apply Sugarpill Goldilux into hairline, regardless of how cool it looks, unless you enjoy scrubbing fine golden glitter particles out of your hair. I think I still have Goldilux in my hair! Ah, well. Holy wow! I LOVE this!